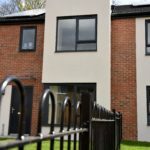 The next brand new homes to be built as part of the Building a Better Nottingham programme are now ready for three Nottingham families. The three family homes on Middlefell Close in Clifton (just off Middlefell Way) form part of Nottingham City Council and Nottingham City Homes’ (NCH) extensive council house building programme, which has so far seen hundreds of homes built on a range of sites across the city. 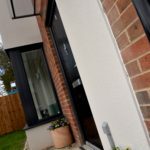 Built on a former disused garage site the two bedroom homes have been built by Nottinghamshire construction company, Robert Woodhead Ltd. Two semi-detached properties and one detached family home, have been created to help meet the housing needs in the local area. 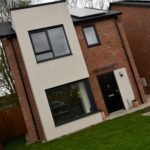 Energy efficient, warm, secure and modern homes, the properties have been built using a fabric first approach, which entails constructing a highly insulated and airtight building to reduce the need for complex and expensive ‘bolt on’ green technologies. Highly efficient gas boilers have been fitted, which are both sustainable and simple to operate. External walls are highly insulated to ensure heat retention, and LED light bulbs have been used throughout to make sure running costs are kept to a minimum. This approach, along with fitted photovoltaic solar panels have achieved an EPC rating of B, which is above the national average. This makes the homes simple for tenants to run, reduces their running costs and reduces lifecycle costs for NCH as a landlord, as no complex systems are installed requiring high level of maintenance. 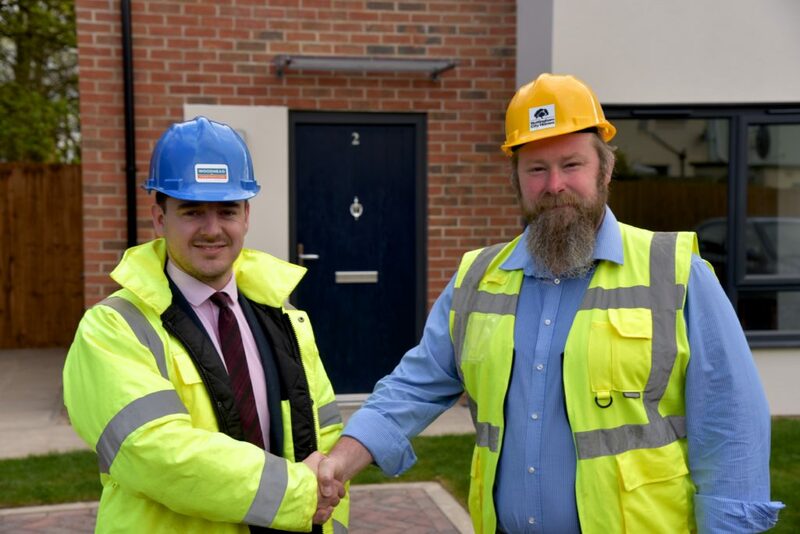 Richard Whittaker, Head of Development at Nottingham City Homes, said: “We’re delighted to have completed this first development in a series of smaller sites being delivered over the next couple of years across the city. Robert Woodhead Ltd’s specialist team, Woodhead Living, is currently working on sites across the city, delivering 100 homes as part of the Building a Better Nottingham programme. Michael Broadhurst, Quantity Surveyor for Woodhead Living, said: “As a local company it’s a real privilege to work on such an important scheme as the Building a Better Nottingham programme. Cllr Jane Urquhart, Nottingham City Council’s Portfolio Holder for Planning and Housing, said: “Every new home built as part of this programme is not only a fantastic asset to the city’s council housing stock, it’s a new home for a family in need of accommodation.